North Carolina Town Accepts, Then Spurns Russian Gift : Parallels Russia is offering to build a $1 million monument in Elizabeth City, N.C., honoring a World War II U.S.-Soviet joint operation. The city council at first said yes. Newly-elected members now say no. 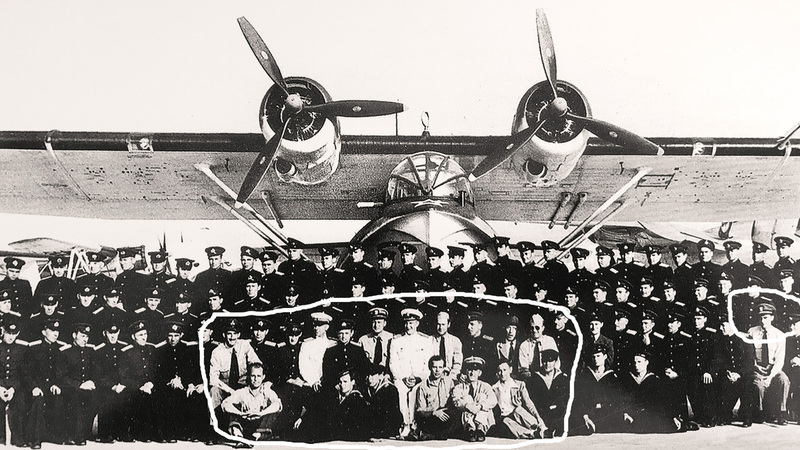 Soviet aviators with their American colleagues in front of a version of the PBY Catalina aircraft in Elizabeth City, N.C. The U.S. trained Soviet pilots to fly the plane as part of Project Zebra, a secret military program during World War II. "It's just one of the most beautiful pieces of art that I've ever seen," Boyd said. 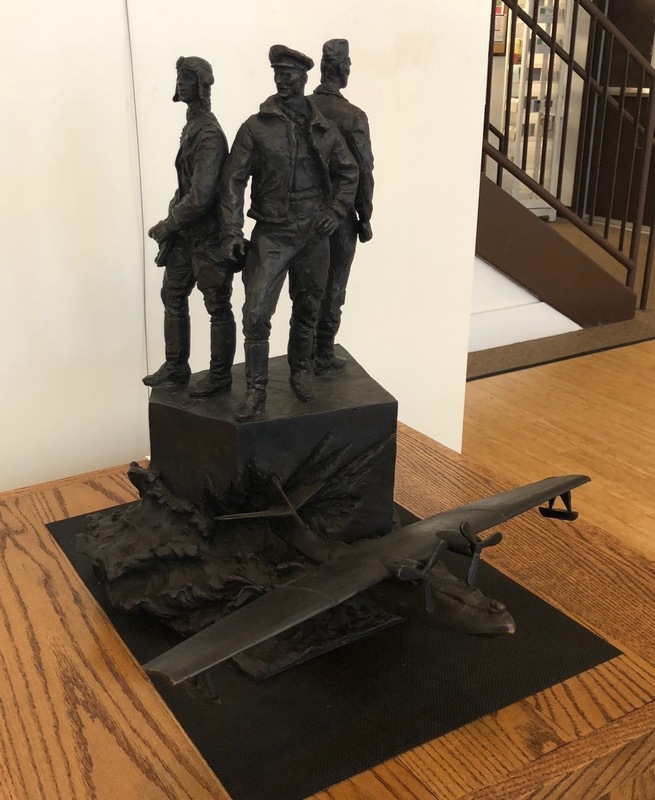 In a heroic style that evokes Frederic Remington's rough-hewn Western art, three pilots – American, Canadian and Soviet – look off into the distance. "And then there's the airplane, the military version of the Catalina, depicted coming out of the water," Boyd said. Almost a year ago, Elizabeth City agreed to accept the monument, valued at an estimated $1 million, as a gift from the Russian government. But in a surprise move, a city council with new members has torpedoed the deal, with some saying the city shouldn't associate with Russia. "I would caution this council that you, or this previous council, gave your word to another foreign government and I'd be embarrassed, to be honest with you, to go back on your word," City Manager Richard Olson said at a council meeting last month. "You're talking about the 'hacking government?' " asked council member and ex-pro football player Johnnie Walton, referring to Russia. "Some people say we'd be dumb not to do it. I'd say it would be dumber to do it." During the same meeting, another council member asked why the city should accept a Russian monument when it doesn't have statues honoring notable African-Americans. 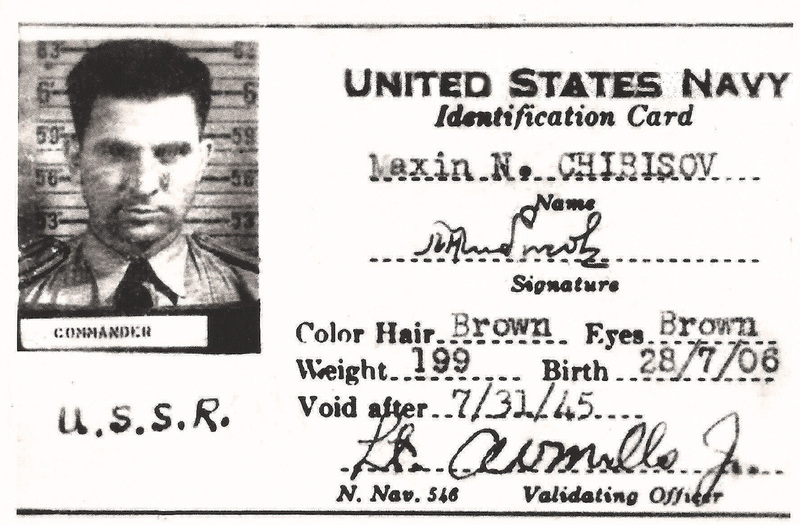 The U.S. Navy identification card issued to Col. Maxim Chibisov, commanding officer of Soviet pilots training in North Carolina. Chibisov's first name is misspelled. Hezekiah Brown, a professional arbitrator and mediator, questions the timing of the Russian offer, given U.S. intelligence agencies' conclusion that Russia interfered in the U.S. presidential election. "You can't deny the fact that politics are involved somewhere," Brown said. "You know, you've got the 2018 election coming up." One reason the Russians didn't propose the monument earlier could be that Project Zebra wasn't declassified until six years ago. "We then went ahead and made 185 of these 11-crew planes in the Philadelphia Naval Yard and painted red stars on them and flew them down to Elizabeth City, N.C.," says M. G. Crisci, author of Project Zebra: Roosevelt and Stalin's Top-Secret Mission to Train 300 Soviet Airmen in America. 'It was both a Coast Guard base that had huge airfields that could take these planes, and it had the waterways nearby that they could practice and take off in the water. "There was once a time in America where a bunch of people that didn't know each other, who couldn't speak each other's language, came together through circumstances and built a monument to humanity. While at the same time completing a very successful military mission." That's what the Russians say they want to honor with the monument. 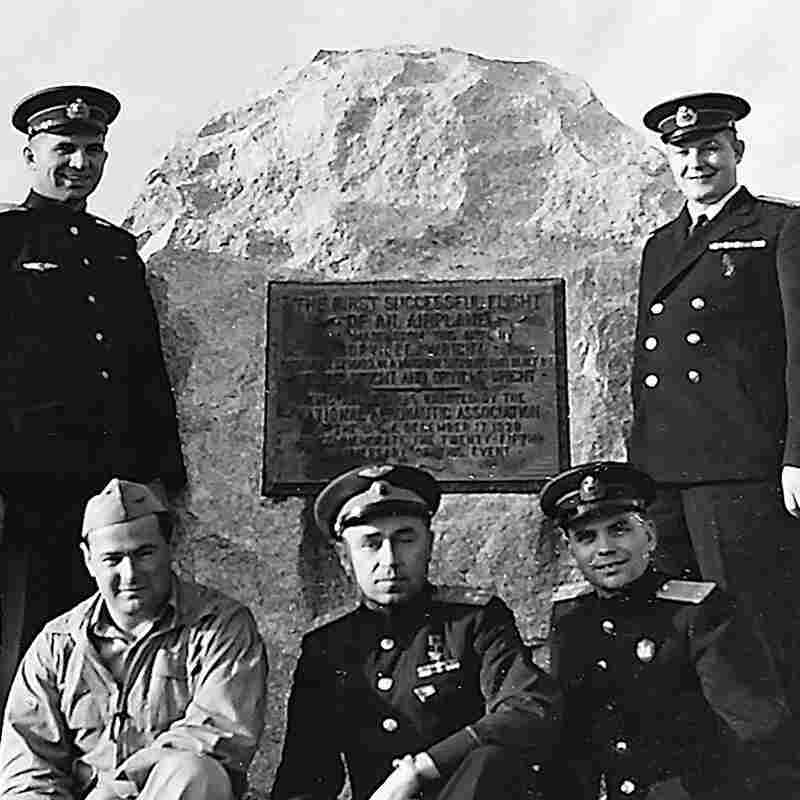 That's because a joint U.S.- Russia commission that supports those searches helped broker the monument deal, in part because three Soviet fliers went missing during Project Zebra. The commission's U.S. chairman, retired Air Force Gen. Robert Foglesong, is concerned the Russians will be offended if Elizabeth City rejects the monument. Foglesong said if they're not successful, it's unclear if the Russians would try to find another site, or ditch the monument idea entirely.